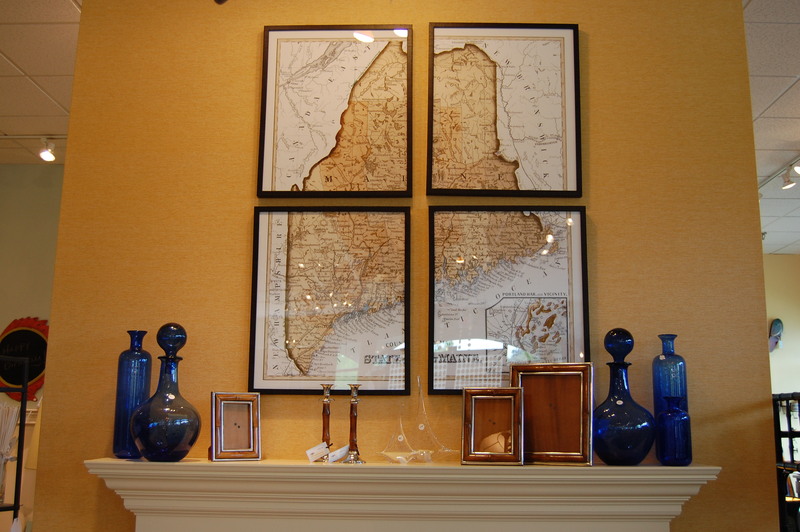 Dwellings is a special shop located at 251 US Route 1 in Falmouth, ME. 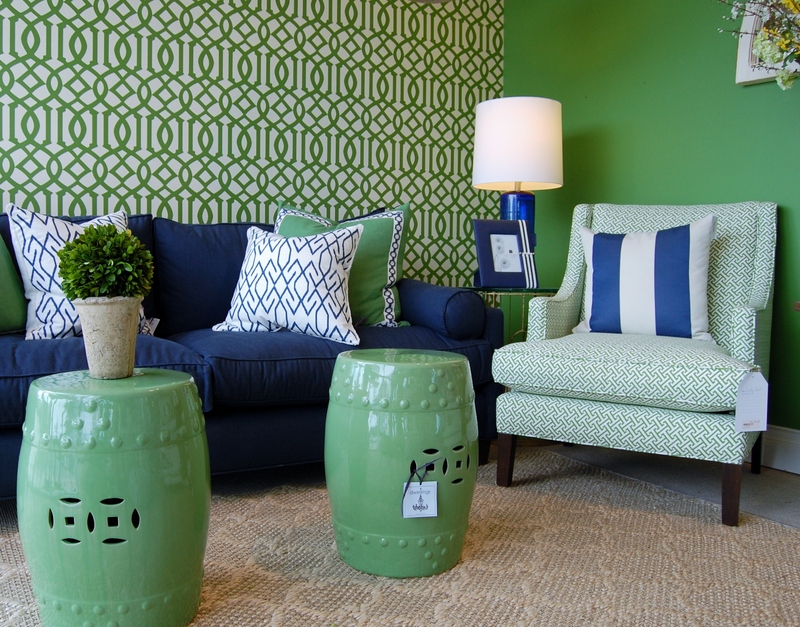 The idea behind this home décor store is instant gratification; anything in the store can be purchased and delivered within a day or so. 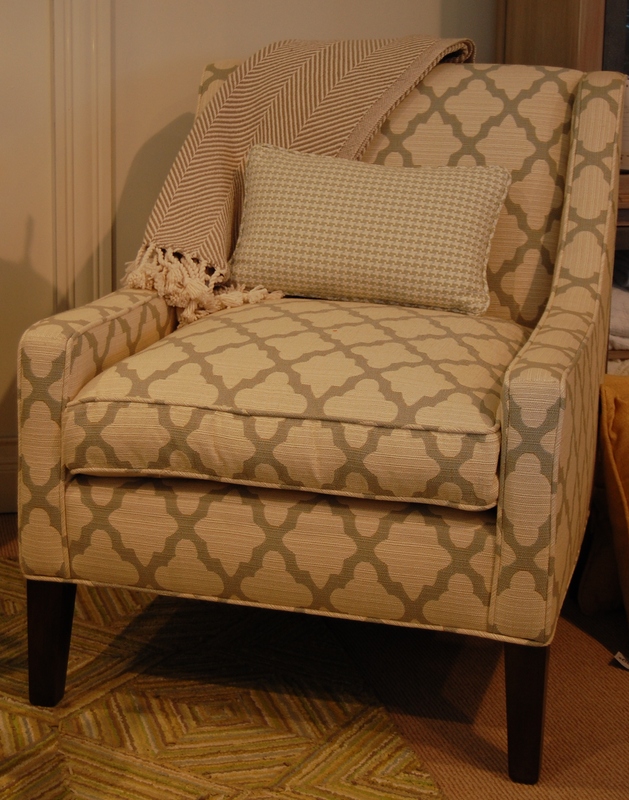 I love the look of this chair and I could have it in my home today. I love that. When we stopped by, owner Louisa Routh had just returned from the Atlanta show. She told us calm colors were in, and bold colors were being phased out. 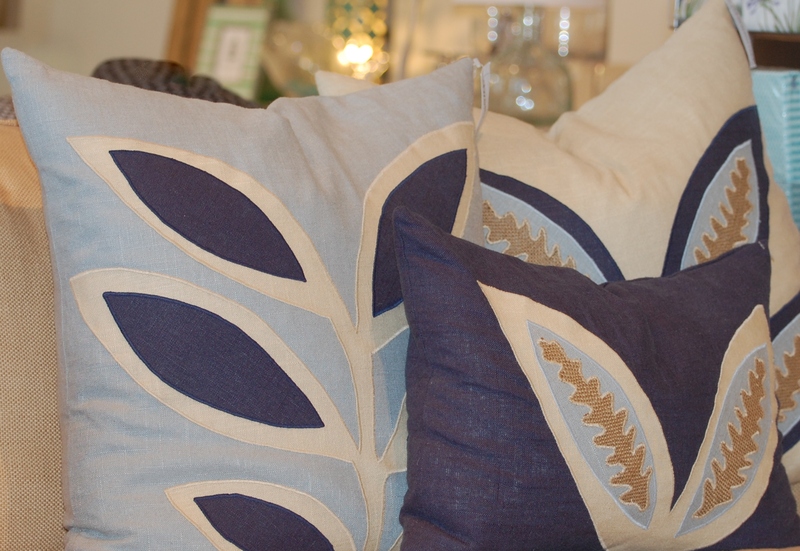 She saw a lot of soft gray and soft pumpkin paired with cobalt and navy blue. 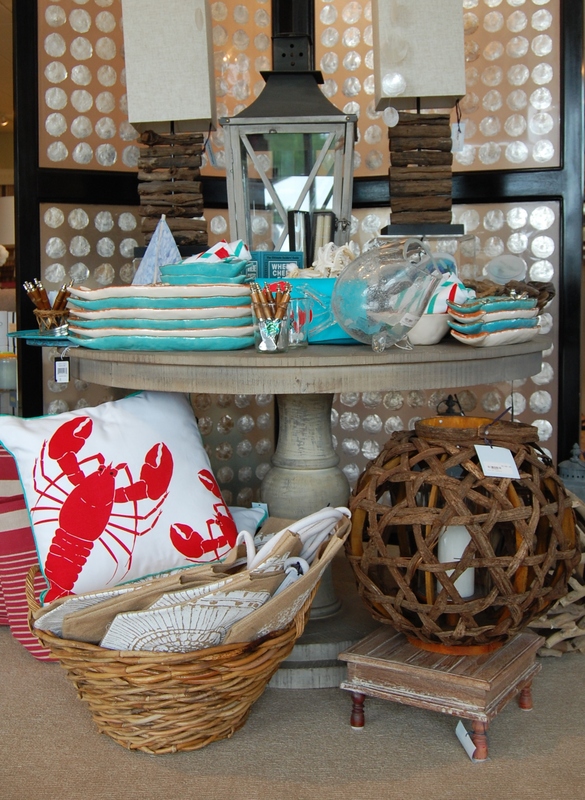 Ocean colors & themes are always popular with Dwellings customers. 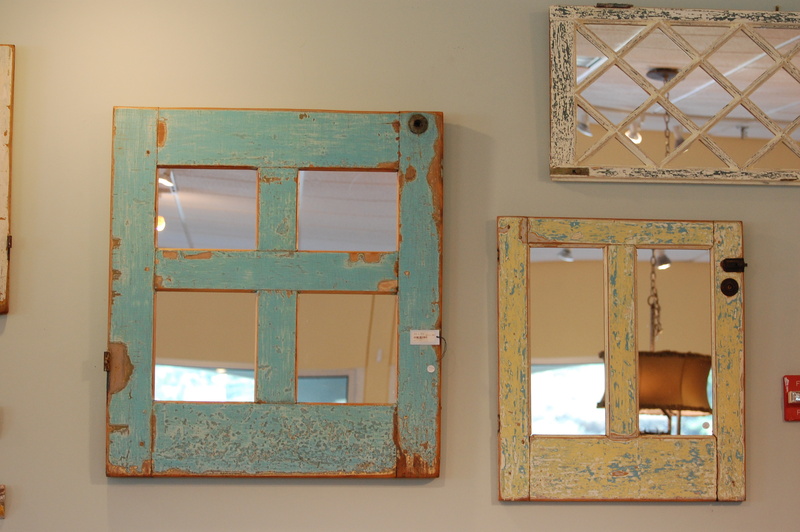 The mirrors below are one of the hottest items at Dwellings, made in Maine from vintage windows. 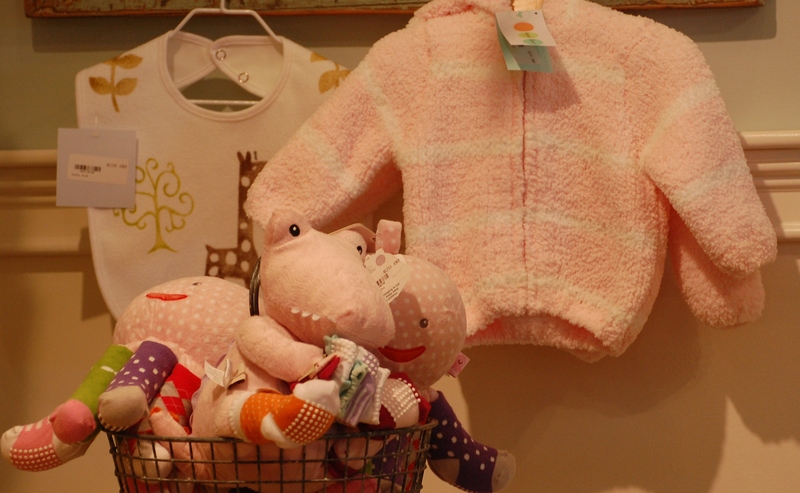 Dwellings is also a great place to get a wedding or baby gift. They carry Italian pottery by Vietri , Glass by Simon Pearce, Mariposa service ware and several other options for brides. You can also register for your wedding or baby shower. As you know by now, I love all things coastal, these fish platters and bowls are fabulous and they are so reasonably priced $19 for the platter and $12 for the bowls. 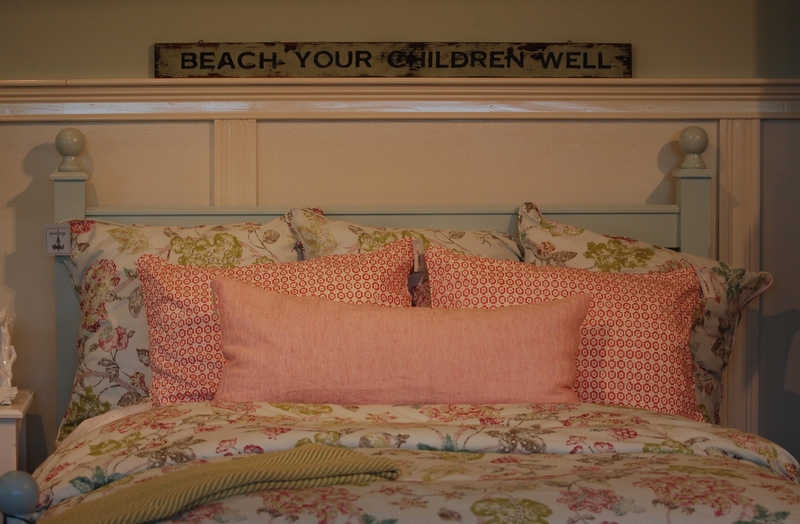 If you want to find that special something to finish a room, or you need to design the entire room Dwellings can help. 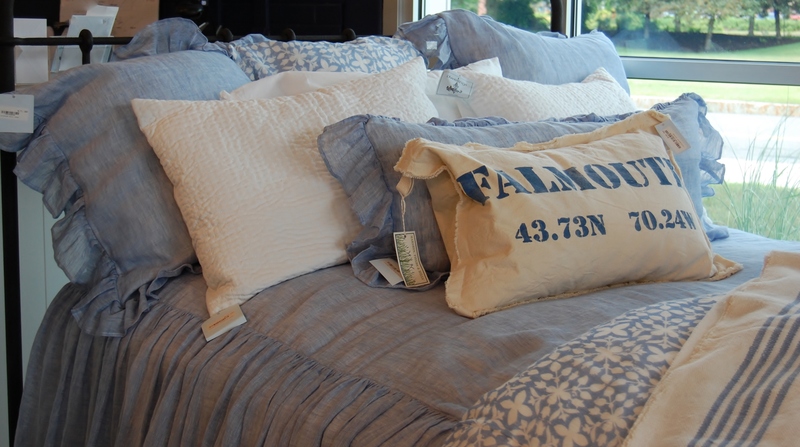 Dwellings ships nationwide, so if you need that special gift and you are not local call them at 207-781-3711 and let them do the shopping, wrapping & shipping for you! Thank you for stopping by, if you like this post let me know by commenting or liking it. If you have a favorite shop in your area share it with us.